The authors of the national arts standards defined artistic literacy as “the knowledge and understanding required to participate authentically in the arts.” It is first and foremost important to realize that when it comes to music, knowing about music, and reading and writing about music is not enough to qualify a person as musically literate. Musically literate people have attained a fluency in knowledge, skill, and ability that allows them to participate in making music. Those who proclaim themselves to be non-singers, or untalented are not, inspire of their self-assessment, incapable of becoming musically literate. Developing artistic literacy in students are at the core of what the national arts standards are all about. It is evident from reading them that the authors have meticulously laid out a plan for developing musically literate people by addressing every aspect of making music. According to the authors of the standards, to accomplish this, “teachers and students must participate fully and jointly in activities where they can exercise the creative practices of imagine, investigate, construct, and reflect as unique beings committed to giving meaning to their experiences.” Students imagine a mental image or concept, investigate and study through exploration or examination, construct a product by combining or arranging a series of elements, and reflects and thinks deeply about his or her own work. In music, this can take the form of imagining musical ideas, analyzing a musical work, composing a musical work, and assessing or evaluating one’s own work or the work of another. These in turn align with the creative processes of creating, performing (an imagined mental image), connecting with the works of others, and reflecting. From this perspective, the arts are seen as a means for people to “generate experiences, construct knowledge, and express their ideas, feelings, and beliefs.” When students have created and performed musical works, they are in a position to study and experience their own and others’ creative work more fully. Elliott described a person who has performed music as being capable of bringing a whole set of sensibilities and awarenesses to the experiencing of music performed by others. Such a person is informed by their own creative experience, and able to relate to not only the music being performed, but the experience of the performer. Relating in this way brings aspects of the music and the performance to consciousness that would go unnoticed by one listening to the music but who has never performed similarly. Because artists create, respond and present works across all the arts disciplines, artistic literacy also fosters connecting one art to another. A musically literate person understands rhythm, tempo, contrasts, color, form, and expressive intent. An artistically literate person can perceive these elements in dance, visual art and theater as well as in music. The anchor standards reflect the overarching nature of the fundamental concepts of all arts disciplines. Creativity is developed and encouraged by asking students open-ended questions. The multiplicity of possible answers allows students to exercise creativity in finding and selecting an answer which is demonstrated in activity within a creative process. Yet there are difference between the arts too. This is delineated in the performance standards. One who is making music does not paint or sculpt to make music, and one who is making visual art does not play notes, or create a melody to make a painting or sculpture. From this we see that there is artistic literacy, which is a kind of literacy that enables participating in making all kinds of artistic works, and then there is music, art, dance, and theater literacy, each enabling participation in making music, visual art, dance, or drama. Teachers in each of the arts include both types of literacy in their teaching. For the music teacher, artistic literacy is taught from the anchor standards as connections are made to the other arts. For example, rhythm in visual art, dance, and acting is taught to enhance understanding of it in music; likewise with other musical elements. Music literacy is also necessary, so that students know, for example, how musicians use rhythm as opposed to artists, dancers and sculptors. Whether there is overlap or contrast, understanding and literacy is strengthened. What is musical ability? This question is not as easy to answer as first appears. It is tempting to define musical ability in terms of performance skills, and those are typically made manifest in public performances. Restricting a definition of musical ability to performance excludes non-performance musical behaviors, or musical behaviors that are needed to prepare a performance, but are not evident toan observer during a performance. A more inclusive definition was proposed by Hallam (2006), who found that subjects in a research project completed the phrase “musical ability is” with the following: expressing thought and feeling through sound, being able to understand and interpret the music, communication through music, responding to music, playing or singing, having a musical ear, listening and understanding, appreciation of music, creativity, evaluation skills, technical skills, composing or improvising, reading music, and knowledge about music. While some of these are primarily performance dependent, most are not. Musical ability is as much about the cognitive processes of understanding, responding and knowing as it is about performance. Expressing though and feeling through sound could be performance, composing, improvising, or even using non-linguistic utterances such as staccato “ah, ah, ah” to express excitement or “ooh” to express empathy. Howard Gardner addressed this aspect of musical ability by including in his explanation of musical intelligence a sensitivity to rhythm and sounds in a person’s environment, and a preference for being taught with rhythmic speech. Those with musical ability take on a sonic flamboyance in the way they communicate that exceeds the norms of everyday communication. 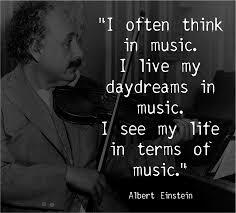 Being able to understand and interpret music is as much for the listener/responder as it is for the performer. Listeners become responders to music in part when they determine and respond to the expressive intents of the composer and performers, while performers determine the composer’s and their own expressive intent in preparing and giving a public performance. Understanding takes in this expressive and emotional aspect of music, but also includes cognitive activity that organizes the physically heard musical sounds into structures that make sense and that are consistent with cultural and stylistic norms. Communication through music is primarily something performers do to an audience, but the audience is necessary for that communication to take place. There is a shared understanding of what is happening musically, and the effects it all has on those who hear it, that makes the performer’s communication through music successful. For example, the performer places emphasis on certain notes, and the listener uses those emphases to detect meter, and to perceive the expressive affect. Listeners who are fluent in the conventions of the music to which they are listening are using this aspect of their musical ability to make structural and emotional sense of the music. A listener continues to use this ability to respond to music. Response to music can be in many forms including movement, emotional, thematic, structural, and contextual. Performer respond to each other as they play or sing music, and each response has an effect on how all the others in the ensemble perform, thus shaping the performance. Having a musical ear can also take on many forms. It may be that a listener recognizes a motif from another musical work in the one he or she is listening to, or it may be that a person can use an instrument to pick out the notes of a tune they have heard. 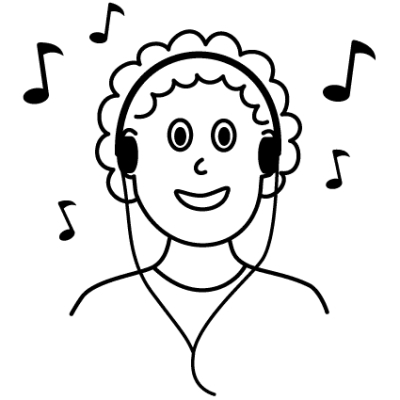 People who can “name that tune” in just two or three notes have a good musical ear. It is worth noting that much of this particular ability comes from experience and an extensive repertoire of melodies committed to memory on which a person can draw to identify and connect with. People with a good musical ear are also highly sensitive to intonation and in tuneness, and may also have perfect pitch. Evaluation skills is evidence of musical ability in performers who can use evaluation to refine and rehearse, of music critics who can judge the merits and shortcomings of a performance, and of listeners who can assess the quality of the musical work and the performance. A person evaluating also draws on knowledge about the music and performance. Knowledge about music includes cultural, social, historical, form, structure, performance practices and instrumentation, expectations, and expressiveness. 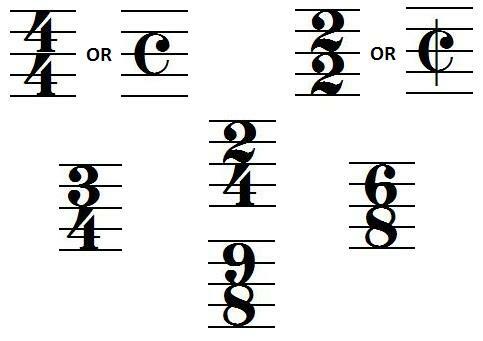 Any one of these, or any combination, must be considered musical ability. Under this definition, virtually every student can be considered to have some form of musical ability, and none can justifiably be excluded from a school music program because of lack of talent. There ought to be opportunities for students to use their musical ability or abilities in whatever form they are present, within a school music program. Realizing that the world isn’t perfect, and that music directors sometimes do things they feel they have to do but don’t really want to do, I thought it would be useful to explore the tension that often exists between expedient and rigorous. First, I should define my terms. Expedient is training an ensemble to play the right notes, dynamics, tempi, and articulations as accurately as possible in the shortest amount of time possible. Expedient training typically involves drill and rote teaching, is teacher centered, and leaves all of the interpretive and technical decisions to the teacher. 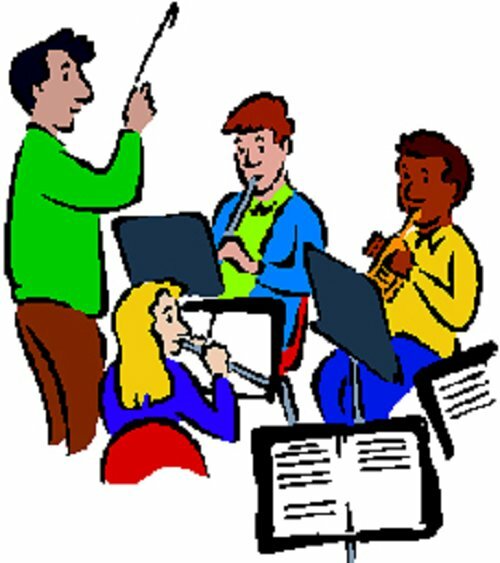 Music teachers resort to this type of teaching when there is a performance looming, and too little time to prepare students by any other way. 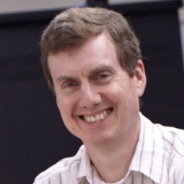 Rigor is teaching an ensemble to play the right notes, dynamics, tempi, and articulations as expressively as possible, which still requires accuracy, but the accuracy is gained through student centered instruction, leaving much of the interpretive decisions to the student, and allowing the student to solve technical problems to the greatest extent possible after teaching them practice and evaluation strategies. This is a more time consuming approach, but one that results in a more meaningful music experience for the student. Students use teacher-provided and collaboratively developed criteria, and later personally developed criteria, to evaluate their own interpretation, technical skill, originality, emotional impact, and interest to refine a performance until it is ready to present publicly. Notice how far beyond accurate notes, dynamics and articulations this goes. When students are playing music just the way they are told to play it, personal meaning and expression are absent until the performance is fully prepared at which time there may be an emotional consensus on the effectiveness of the director’s interpretation. Through director centered rehearsals, visceral satisfaction and interaction with the music is rare or missing, because the investment of personal feelings is left out. When students are not actively involved in the evaluation and refining, all that is left is rehearsing, which alone is essentially rote learning or drill, neither of which builds musicianship. Rehearsal should be the means to refining accuracy and interpretation, but both must first be conceived, developed, and even practiced before they can be refined in rehearsal. Accuracy is born not only out of practice, but out of recognizing where challenges lie, and finding motivation in taking them on, equipped with a plan and strategies learned from good teaching. While accuracy can be practiced individually, interpretation must ultimately be executed corporately in an ensemble. Discussing, exploring, and trying multiple interpretations with the ensemble involves students in meta-cognitive activity that is essential for instructional depth in music performance education. It is, I believe, no accident that “interpret” precedes “rehearse” in the core arts standards for music. Interpretation requires intent and expression. Where interpretation is added on after notes, rhythms, articulations and tempi are mastered, the point of musical activity is lost. Put another way, pitches, rhythms, articulations and tempi are means to an expressive end, not the other way around. The point is not to learn the notes, but to express intent with notes. Observe the enduring understanding for rehearse, evaluate and refine performance: “To express their musical ideas, musicians analyze, evaluate, and refine their performances, individually or in collaboration with others.” The first phrase states the purpose of musical performance, that is, to express musical ideas. Students engage in analysis, evaluation and refinement individually when they practice, and in collaboration with others when they are in their ensemble setting. Being told how to play every note and nuance is not collaboration and is not what the writers of the standards intended. Collaboration involves taking ideas from many and creating something where the whole is greater than the sum of its parts, because all benefited from each contribution of a part. There is a tension between knowing this is how it should be, and knowing that there is not time to start doing all of these things. But there is eventually a return on every good investment. Students who become capable of being independent learners and interpreters of music, what Shaw had Henry Higgins call “a tower of strength” in Pygmailion do not need as much supervised drill, because they are capable of evaluating, refining and overcoming challenges in the text, and defects in the performance much more independently and therefore more quickly and efficiently, than students who must totally rely on their director for everything. This investment must be made at times of the year when there is time to make, or else every director must make time to do so. We must do this because we are not music trainers, we are music educators, which is a much higher calling. What do humans do? What are we made for? If we look at our educational institutions, we would conclude that we think and reason in words and formulas, create works of art that utilize mathematical relationships and perhaps words, but which express emotions and feelings, figure out how things work through scientific inquiry, and design and build things. These things that humans do roughly correspond to the disciplines of language, philosophy, mathematics, visual and performing arts, science, and engineering. We are reasoning, linguistic, inquiring, and creative beings. While none of these is independent of the others, one pervades all the others; creative thought is necessary for reasoning, communicating, and inquiring. Without creative thought, we fail to initiate inquiry that leads to innovation or improvement, and we struggle to comprehend our well suitedness to our earthly environ; just as our surroundings and indeed ourselves appear to us with color, shape, order, and often impressive beauty, the fruits of our creative activity is similarly crafted with those same attributes. Visual art presents shapes and color in two and three dimensions that represents or challenges our awareness of our world and ourselves. Music presents sounds that are represented in our minds as shapes and colors in space that cannot be seen but are intimately known thanks to the creative invention of composers and performers of music. Dance is perhaps the perfect art form, combining the visual art of the dancer’s body with the aural art of the music to which the dancer dances. The arts are life imagined and reimagined. At times they give us a vision of what we could aspire to and at other times give us a candid view of what we have settled for, and thus take us at times to a high place of hope and aspiration, and at other times to a low place of regret and shame. Through these honest glimpses of the human spirit, and only through them, we face the certainty of mathematics, the logic of language, and the quest for knowledge of philosophy and science. It is this joy that is the essence of what we should take away from these remarks. Einstein was not a world-class musician, but nevertheless drew immense satisfaction, joy, and even inspiration form his musical performances. Einstein’s friend Janos Plesch once wrote about Einstein, “There are many musicians with much better technique, but none, I believe, who ever played with more sincerity or deeper feeling.” Students sometimes wonder why they have a music class because they are not going to be career musicians. Most will not question taking math though they have no plans to be career mathematicians, but the connection to “real life” seems to be more obscure for music. The answer is that most, like Einstein, will derive untold and probably unexpected rewards from performing music as an amateur along side whatever profession or career they choose. Music is immensely stimulating, and even more so when a musical instrument is played. If someone of Einstein’s stature could realize such benefit from being an amateur musician, our students can be sure of exacting a similar benefit, even if they do not become elite physicists. In a time when music is so easily accessible, students can easily loose sight of all the work and people it takes to bring an album to their listening ears. All many of my students ever see is the album or song title on their phone, or the album art. They just take it for granted that music will be there to download or stream at any time. But before that music becomes available to them, many hands have gone in to creating and preparing it for distribution. Students should be made aware of what is done to make music ready for them to consume so they can become more engaged with the process, so they can enjoy music and music making beyond just listening, and so music will continue to be created and produced by their generation. Having students think through the whole creative process brings them to discover a host of careers they may not have considered. “What has to be done first in order for a recorded song to get to you?” This begins with the producer putting together a timeline that starts with the composer/songwriter creating the song. Personnel must be assembled, including other singers, and instrumentalists. Often, a sound designer must be found to create rhythm tracks or special effects electronically that will be edited into the final mix. The song has to be rehearsed, probably edited and revised, and then eventually recorded by a recording engineer. Then the song is edited and mixed down into its final form. When the song is ready, the publicist needs to create a campaign to get the word out that the song or album is available. It needs to appear on Amazon, iTunes, and a number of streaming sites, and it needs to get air time on popular radio stations. And then there is the DJ who completes the on-air package, and helps promote the music. Suddenly, students realize that there are many career opportunities within the process of making recorded music; and they haven’t even considered musical theater and opera, or the many jobs that must be done in order to pull off a concert or concert tour. This brings us to the students who are interested in music, but don’t see themselves as performers. For students who don’t see themselves as singers but want to pursue a music career, the resource offers many options, including recording engineer, recording producer, composer, publicist, sound technician, or sound designer. There is also the whole field of music business and administration. Berklee has an excellent resource on line that includes many music careers that the NAfME does not include, particularly in the popular music fields. Many of these careers offer opportunities for classroom activities that students will enjoy, find relevant, and may lead them to choose a career in music. Creating, producing and recording a song in class, with small groups of students assigned to the various jobs along the way, offers an authentic educational experience, and the benefit of a product that every student can get a copy of and take with them—the recorded song. Careers in music is a good basis for many worthwhile units of instruction in the music education classroom. 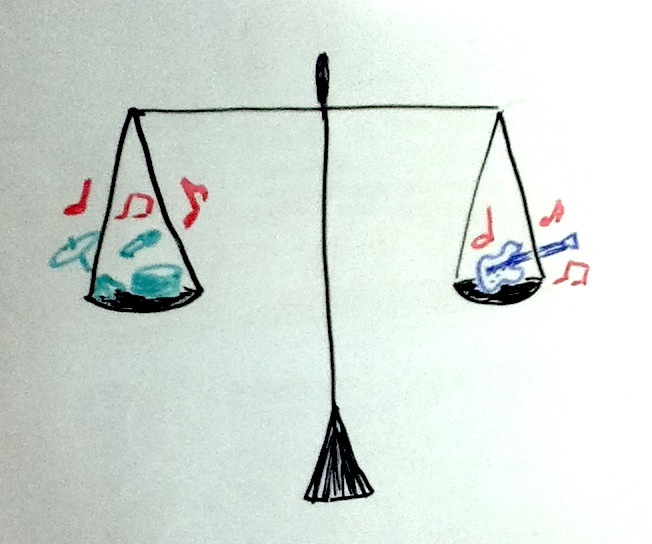 Is Meter the Overlooked Element in Your Music Teaching? Today I asked a class of 7th graders to explain how, when they move to a current pop song I played in class, notes on beats feel different from notes between beats. If I were to have taught them the answer, I would have told them that the notes on the beat feel stronger. I would have told them that notes between beats sometimes make syncopation, giving the music motion that lifts and points toward the next beat. I might have told them that the notes in between beats pull me toward the next beat or finish a rhythm started on the previous beat. What my students wrote for their answers was interestingly different from what I would have told them. My students found that the notes on the beat are slower than the notes in between beats. Some wrote that the beat repeats over and over and the notes in between beats make different rhythms. One student wrote “there are switching places in between the beats.” A couple of students answered with descriptions of instruments that played on each of the four beats of a measure. They apparently were tuned into the pitch and timbre rather than the rhythmic feel. Overall, references to faster or slower rhythms were prevalent in their answers, and many responses evidenced thoughtful if unexpected answers. References to accent, weight, or metrical structure were noticeably missing. After looking at the students’ responses, it was evident that more teaching on meter was necessary. To be honest, I have not used enough movement in teaching these students meter in previous years. Just as being able to give letter names to pitches doesn’t mean a person can read music, reciting the meaning of the time signature and drawing measure lines in music that has none does not mean a person understands meter, which is patterns of strong and weak beats. Strong beats can be heard to a certain extent, but they are much more meaningful and clear when they are put in the body with movement. One Dalcroze activity I like to use for this is bouncing, catching and tossing a ball. For common time, students walk to the beat while, on successive beats, bouncing, catching, tossing, and catching the ball. The bounce on beat one feels stronger than the toss on beat three, and the catches on beats two and four feel like preparations for beats three and one. Earlier this week, with a different class than the one I mentioned above, I asked them which of the four beats in each measure felt the strongest. We first discovered the strength of bouncing the ball, and then tried bouncing on each beat, a different beat each time through the song, that was offered by students as the one they thought was the strongest. First we tried making beat four the strong beat, and then we tried making beat one the strong beat. They all agreed one felt more natural as the strong beat. Having bounced the ball and felt the strength of the bounce match with the strength of the first beat, they now had an understanding of meter they would never have acquired by simply listening for a strong beat at the start of each measure. The big point here is that music simply cannot be experienced fully apart from dance or movement. Music is movement—the movement of pitches and durations across time. As it is with anything that moves, music has speed (tempo), signposts (accents), and distance or length (time-span). To try to understand music by sitting still may be good etiquette in a symphonic concert hall, but it is an ineffective and confounding way to learn music. Meter seems to be an aspect of music that many unguided and inexperienced listeners overlook. Leading the way for students to discover and enjoy meter, which is integral to rhythm in general is an important job for music educators. It is quite common for music educators to ask of young students that they move to the beat. Patsching the beat is a basic skill that all children should acquire in formal music training from three years of age and older. One often overlooked aspect of perceiving the beat from a musical work one is hearing is being able to recognize divisions of the beat. Without knowing how the beat is divided, meter and beat becomes a highly subjective item. It is not at all unusual for some of my youngest students to patsch micro beats while others patsch macro beats to the same music. Those patsching macro beats have realized that at least some of the beats contain two equal notes, whereas those patsching micro beats have concluded that every note is a beat. These students are also more likely to patsch the rhythm instead of the beat. This misunderstanding occasionally happens with older students. Today, my sixth grade students were doing a eurhythmics activity, walking to the beat while bouncing, catching and tossing a ball, also to the beat. The music they were walking to was the first movement of Bach’s Brandenburg Concerto in F major. I played the opening bars first so they would become familiar with it, and demonstrated how to use the ball, and how to walk to the macro beat. The students then got to practice with the ball before using it to the music or walking. The micro beat pulse is relatively prominent, and this one student, attempting to walk to the beat, began walking to the micro beat, while her classmates all walked to the macro beat. She could not at first accommodate two notes within a single beat. The sixteenth notes did not present a problem, because they are not constant, and therefore cannot be a steady pulse. Training students in divisions of the beat forms the basis for accurate beat perception, meter perception, and rhythm performance. What follows are some activities that can be used for this purpose. Practicing rhythm patterns on a neutral syllable while keeping the macro beat on the floor with the heels of the feet is an essential part of rhythm training. Once rhythm patterns are learned on neutral syllables, they should be done again, this time with functional rhythm syllables, such as those provided by Gordon. With the mico beat always chanted to “du,” and all divisions consistently assigned their own syllable, students learn the divisions of the beat by name: du de for divisions into two, du-ta-de-ta for divisions into four, and du da di for divisions into three. Tapping the heels forces a weight shift which is necessary for a person to feel the beat in their body. Merely tapping the toe is of limited value, because no shift in weight occurs. With the heels tapping, students repeat after the teacher rhythm patterns in duple and triple meter with the tactus and its divisions into two, three, and four micro beats. Students can also practice tapping quarter note micro beats with their heels while patsching eighth note micro beats. Both activities afford the student the opportunity to feel a pulse and a division of the pulse at the same time. Another activity, this one from Jaques-Dalcroze, is to have students walk to the rhythm of music the teacher plays on the piano, while they conduct the beat with their arms. As the teach plays, s/he calls out the subdivision, and then proceeds to play music with that subdivision. For example, the teacher calls out “two” and then plays music where the beats are divided by two. After several measures, the teacher may call out “three” and then play music where every beat is divided in three (perhaps an excerpt form the “Moonlight” Sonata of Beethoven). The teacher continues to change divisions and the children adjust their stepping accordingly, going from a comfortable walk for “one” to a trot for “two” to a run when “four” is called. Throughout, students maintain a steady pulse in their arms, even as the divisions change. From these activities, students learn that through a steady pulse, beats are divided several ways, and the variety of divisions is what makes rhythm. On the other end of the spectrum, there are also elongations of the beat, which also can be experienced with a combination of conducting and movement; this time with a bending at the waist for the duration of the note while the conducting continues. The differentiation between beat and rhythm becomes part of the student’s personal experience, and then transfers to musical performance.